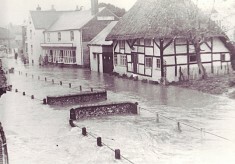 The River Meon rises in the parish of East Meon, and it runs through the village. In the past, it frequently flooded - re-engineering in the 1950s has prevented major flooding since then. Farms and houses rely on it for their water. This section contains a number of studies conducted of the geology, wildlife and flood prevention.